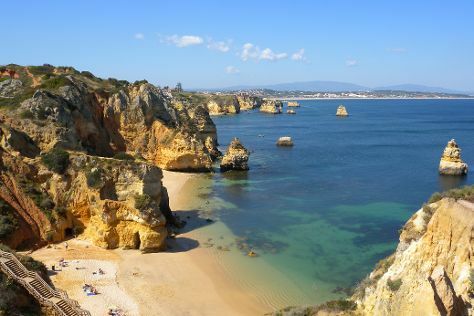 Along Portugal's southern Algarve region sits Albufeira, a city boasting 20 beaches for visitors to choose from. Explore Albufeira's surroundings by going to Ponta da Piedade (in Lagos) and Praia Da Rocha (in Praia da Rocha). Pack the 23rd (Tue) with family-friendly diversions at Zoomarine Algarve - Theme Park. And it doesn't end there: enjoy the sand and surf at Falesia Beach, have fun at Hot Wheels Raceway, and go for a stroll along the water at Marina de Vilamoura. To see reviews, traveler tips, where to stay, and tourist information, go to the Albufeira trip itinerary maker website . April in Albufeira sees daily highs of 24°C and lows of 15°C at night. Finish your sightseeing early on the 23rd (Tue) to allow enough time to travel back home.